and his siblings in the middle of the night to speak to cousins in Egypt. “As far as my father was concerned, we were going to know these people,” he said. Like Malek, Mercury was from an immigrant family. He was born Farrokh Bulsara, to parents of Parsi descent, in Zanzibar, an archipelago off the coast of Tanzania. He moved with his parents to England when he was a teen-ager. “When you begin to make these discoveries about him, his heritage, his name, Farrokh. Farrokh Bulsara. I mean, it could be an Arabic name, no? If your friend sitting next to you in school’s name is Farrokh? So I’m, like, O.K., I might know this guy,” Malek said. 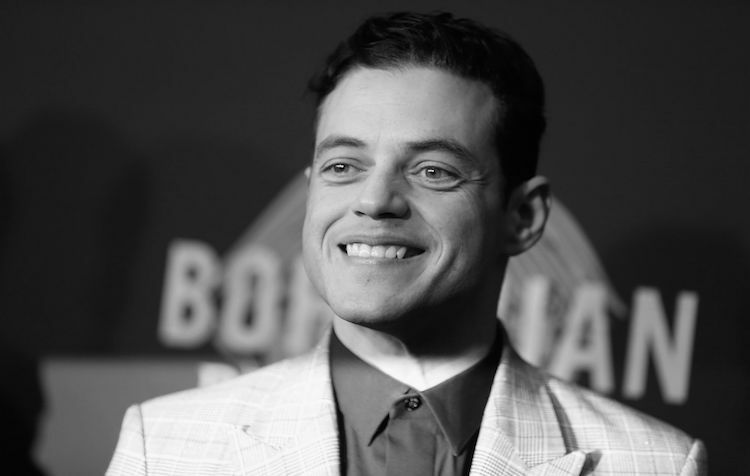 “I may have met him somewhere in my youth.” Growing up in the eighties and nineties in Los Angeles, Malek felt that his name, Rami, “stuck out like a sore thumb,” he said. “I felt that we stuck out like a sore thumb, as a family, our traditions. Going to school with that type of consciousness, and feeling like we were wearing our heritage on our sleeves, was always something that was confusing. I was conflicted about how to identify myself as a young man, and I think that is very much emblematic of Freddie Mercury.” He added, “I like characters who have a moral predicament with themselves that they refuse to . . . what’s the word?” “Confront?” I offered. “ ‘Confront’ is the word.” He lit up. “Sorry, Arabic is my first language, as well,” he said, in jest, referring to our shared Egyptian background. Malek spoke Arabic at home until the age of four, though his Arabic has long since been superseded by his English.